An orange crab crawls on a leaf on Panay Island in the Philippines. 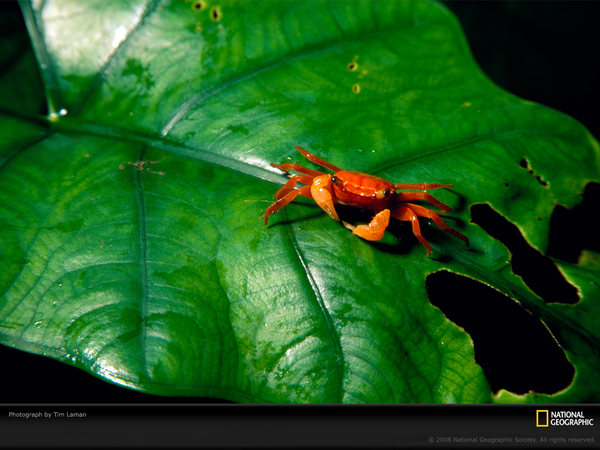 The islands of the Philippines have some 12,000 plant and 1,100 land vertebrate species. 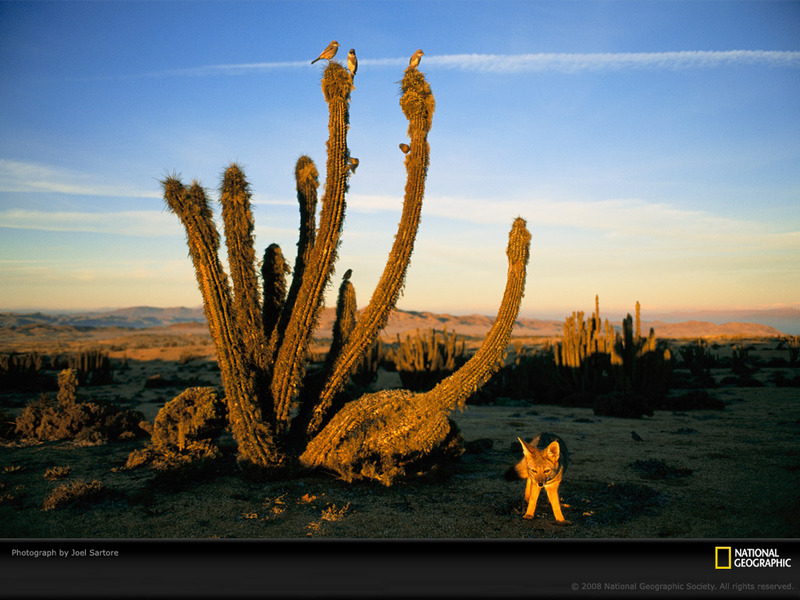 But habitat loss threatens to erase much of this ecological diversity. Icebergs, including one with a sapphire pool of meltwater, clutter Greenland’s Jakobshavn Fjord near the village of Ilulissat. 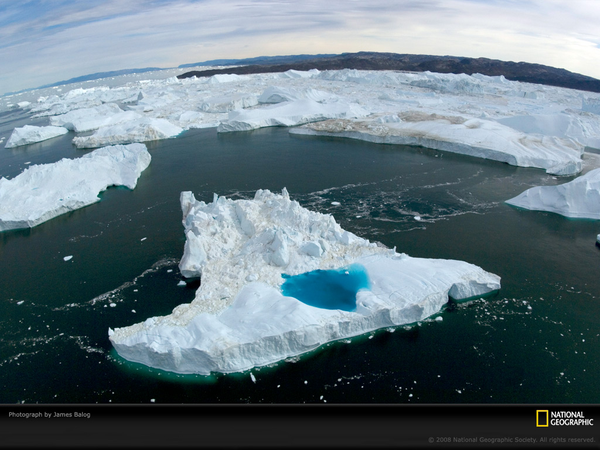 The glacier that produced this flotilla has receded some four miles (six kilometers) since the year 2000. 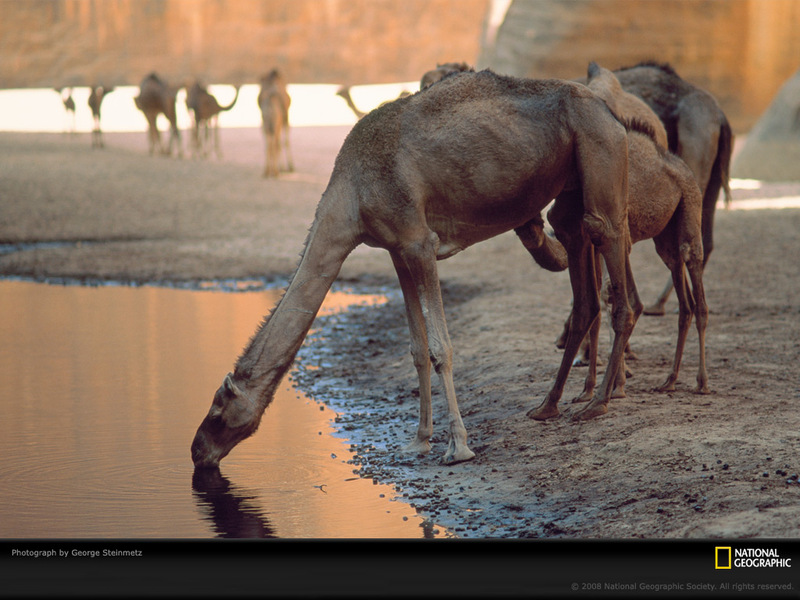 A young dromedary camel peeks underneath its mother as she casually drinks in the Guelta Archeï, a steep canyon in the Chadian Sahara. But camels beware. These isolated waters hold a zoological surprise: Algae, fertilized by camel droppings, are eaten by fish that are preyed upon by a group of crocodiles. Birds perch on a cactus as a gray fox warily stands below in Chile’s Atacama Desert. Rain rarely falls on the Atacama’s coastline, but dense fog known as camanchaca is abundant. The fog nourishes plant communities from cactuses to ferns. 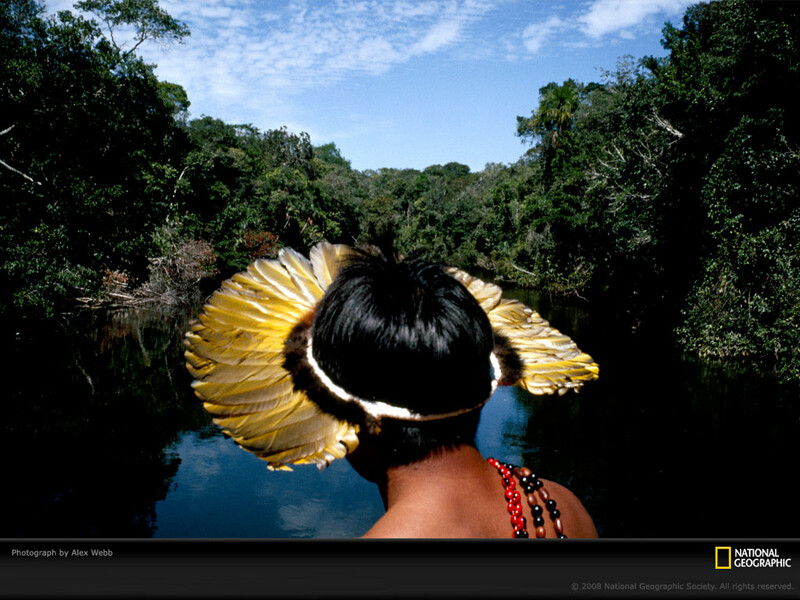 A Manoki Indian in a feathered headdress and beads glides down a stream in Brazil’s Amazon River Basin. The Manoki are one of about 170 indigenous Amazonian peoples whose homelands are imperiled by an intense land rush in the Amazon fueled by the timber, agriculture, and cattle industries.